Medicinal herbs are an essential component of traditional Chinese medicine. As a doctor of Oriental Medicine, Bret Mosher uses Chinese herbs at his natural health practice in Poway, CA, to not only treat illness, but also optimize overall health and prevent disease. There are more than 450 medicinal substances in Chinese medicine. They are largely of plant origin, but also include some animal and mineral-based substances. Unlike most medications used in Western medicine, Chinese herbs are highly unlikely to produce undesirable side effects when properly administered. They are also entirely non-toxic and free from chemicals. There are more than 450 medicinal substances in Chinese medicine. Chinese herbal medicine is one aspect of the integrated system of traditional Chinese medicine. Some of the other healing modalities are acupuncture, moxibustion, cupping, therapeutic massage, nutrition therapy, and mind-body practices such as tai chi and qigong. 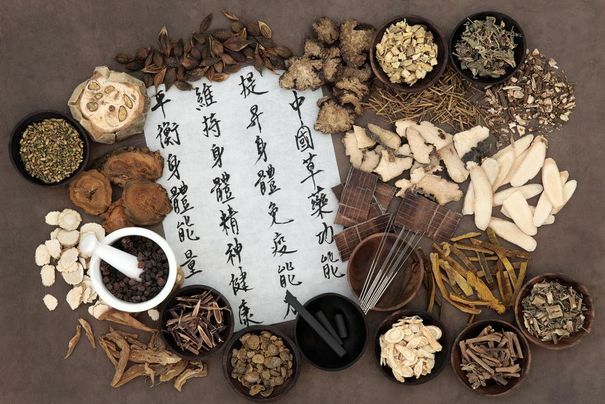 The use of medicinal herbs is part of Chinese medicine's approach to understanding normal function and disease processes, and to focusing equally on the prevention of illness and its treatment. Chinese medicine also seeks to remedy the source of the malady instead of masking a set of symptoms. Because a disease or illness can manifest differently from person to person, Chinese herb prescriptions can vary significantly between patients with similar health conditions. A qualified practitioner can prescribe herbal formulas that directly address your needs. Chinese herbal medicine prescriptions are adjusted and modified throughout your treatment. There are three stages to wellness. The first is symptomatic care, in which your doctor seeks to alleviate your symptoms. The second is corrective care, in which he or she seeks to identify the underlying cause. Dr. Mosher can prescribe unique herbal combinations and dosages specific to your medical history and any other medicines you may be taking. The third is prophylactic care, when your doctor prescribes formulations to strengthen your immune system and enhance normal function for general health maintenance and disease prevention. Teas: Known formally as decoctions, these are prepared in a special decocting pot with herbs and boiling water. They have a strong odor and taste and are not used as often as other formulations, especially in the West. Powders: These were developed as an alternative to decoctions and are much more palatable when mixed with hot water to make a tea. They can also be ingested directly or made into pills. Syrups: This formulation can be beneficial for soothing coughs and sore throats. It can also be an easier way to deliver herbal medicine to children. There are also pre-made mixtures called Chinese patent medicines (or formulas) that are sold commercially in liquid and pill form. Consumers should be aware that many of these products do not list all ingredients, and there can be considerable variation in the ingredients and proportions of ingredients in products bearing the same name. Unfortunately, adulteration is a serious problem with patent medicines. Patents imported into the United States from China have been found to contain noncompliant levels of heavy metals and even contain prescription drugs. Dr. Mosher is a highly trained and certified healthcare provider who can prescribe unique herbal combinations and dosages specific to your medical history and any other medicines you may be taking. He offers Evergreen herbal supplements bearing the highest possible quality, purity, and potency. As a board-certified practitioner, Dr. Mosher can guide you safely on your journey to health and wellness. To learn more, please contact us today.